Vision, innovation, and environmental awareness and accountability, are ingrained in the Poralu Marine philosophy. 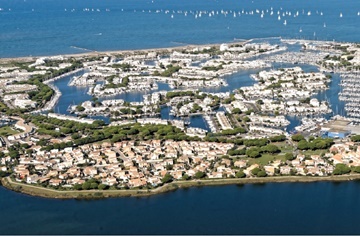 Now well into its third decade of delivering turnkey marinas, the company continues to focus on developing unique and stylish solutions that protect and preserve ecosystems while offering yacht harbours long-lasting, good-looking products. Say Poralu, think aluminium. The use of metal has been at the core of the Poralu Group since it was established back in 1968, and when Poralu Marine was set up 16 years later it launched into production of a ground breaking marina industry first; an aluminium pontoon system that has become a world leader. The company has built over 50,000 berths around the world and now completes an average of 250 marina projects per year, manufacturing around 40,000m (131,234ft) of pontoons.